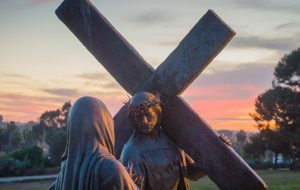 In his famous song of praise, The Canticle of Creation, St. Francis refers to “Sister Death” as the companion who, at life’s final threshold, leads us all into the fullness of God’s love. For Franciscans this final journey, like every other part of the Gospel life modeled both by St. Francis and St. Clare, is to be marked by “the spirit of prayer and holy devotion”. The following sacred and historical sites are imbued with the spirit of Franciscan prayer. Friars and staff in each location, in conjunction with local mortuaries, offer all services connected to the Rite of Christian Burial.